The Additional Needs section of our basketball program has some of the best Special Needs players in the game. Some of our players even competed in the Beijing Special Olympics. 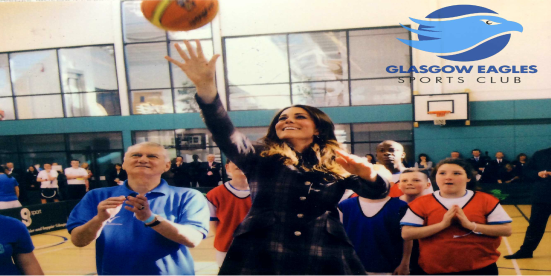 We also have have Royal patronage as a charity and on the left you can see our Her Royal Highness the Duchess of Cambridge shooting hoops with some of our members. We now have 2 Senior Men basketball teams competing in the SLBA. This thanks to a fantastic effort from last seasons Div 2 team to in winning the league and securing promotion. So now not only do we have a team doing fantastically in Div 1 but we also have a Div 3 who have also just won promotion from Div 4. ﻿Now the Ladies 3rd season in the SLBA it seems they are still growing and developing as part of the club. With some major roster changes this looks like the season they will be able to build a solid platform on which to succeed in the coming years.